Here we will learn how we can add a new sub domain to your blogger custom domain blog. As an example we will learn how to create a sub domain blog.yourdomain.com to your custom domain blog. (If you have need some other sub-domain change blog with what you want). To do that we need to create a CNAME record. 2.From the drop-down menu at the Domains tab, select My Domain and you will be directed to the Manage Domains page. 4.To add a CNAME record, click NEW ROW. (Use the correct sub-domain where you want your blog to appear) and click on the Confirm Button. The CNAME Records have been created for you automatically. 1. Login to your Namecheap account and click on your domain name. I assume that you have already have a blog which you want to switch to the custom-sub domain. Get into its Dashboard and navigate to Settings > Add Custom Domain and click on the link saying “Already own a domain? Switch to advanced settings” Now provide the URL blog.yourdomain.com . Type the captcha and save the Settings. I'm using 1and1, it's the same as the others, ONE STEP ! How Google DNS settings? Google DNS server addresses, what? @caba - that link talks about Google Public DNS Server IPs which can be added to your TCP/IP properties(not related to this post).This is a tutorial on DNS Resource Records that should be created for CNAME aliasing. My 1st comment in this site. I will implement on this.. I love all of your tutorials! Thank you for writing this one. Hi, please help, how to redirect non www. to www. in name.com panel. I tried to do it whit name.com and it doesnt runs, i wanted to place my blogger as subdomain of other web i mean it may run but NO, it doesnt. @Lexmax_ONE - which domain and sub-domain are you talking of? Did you create the CNAME Records? If so it may take some time for the DNS changes to take effect. I can't help you without knowing your domain and subdomain urls. It was impossible to created CNAME for www.blog.domain.com after blog.domain.com at everyDNS. do you have any solution? "Another blog is already hosted at this address"
I was looking for this information since long...thanks! hey i am unable to add subblog . I have registered domain name from blogger custom domain. @Priteh Taral - you have to create two CNAME Records as mentioned in the tutorial. Then you have to create a new blogger blog and switch it to that blogspot blog to Custom Domain as mentioned here. Thanks alot . I have successfully added subblog on my custom domain . well is it possible to create www.yourdomain.com/blog for my blog?? Excellent article. I just tried it on my site and works perfectly and at the first attempt. Now I have to setup the new english subpage of my web. Thank you very much for sharing. Thanks. I'm using this now on my site. i'm registered before www.thamilcinema.blogspot.com and i'm changed www.thamil.cinema.com but i'm type new domain name on my browser but not found domain. @Fantastic up 2 7 - do you own the domain cinema.com ? . I don't think so..
Great Article. How long it takes for subdomain to work? this is great info. I am having one problem. My domain is kennyfriedman.com, I have that working and pointting to blog.kennyfriedman.com but when someone use www e.g. www,kennyfriedman.com I get a 404 error. I'm using godaddy. You are having a different kind of setup and you wont be able to redirect www.kennyfriedman.com to blog.kennyfriedman.com using normal blogger redirection methods. I was looking for a way to get my naked-subdomain (subdomain.domain.com) pointing to my custom domain. But I am now stuck, I can't tell how to make both www.subdomain.domain.com and subdomain.domain.com work the same way. Can you give me a hint where to look? It works really nice! Cheers! Your post is really helpful for me. I have just set one of my domains using your tutorial. @orkut scraps - if you have got a "Simple DNS Zone Editor" in your hosting cPanel, then you can do it from there. Otherwise you will have to contact your webhost via some support ticket and ask them to create it for you. @Telika Ramu - You are trying to setup a Custom Domain and not a Sub domain. So refer these posts. You need to create one CNAME and 4 A Records to setup a Blogger Custom Domain. Instead you are using some Redirection or Forwarding option. That is for blogger blogs. I have a domain-name(eg: mysite.com)setup for blogger. Now, is it possible to create sub-domain like store.mysite.com and use it for site other than blogger, like wordpress or any website? I bought domain name from local registrar. @nima - yes it is possible. you will need to purchase a hosting account from some host like HostGator . By default your domain name will be using your domain registrar's NameServers.You will have to change the Name Servers of your Blogger Domain to that of your host.Doing this will make all the current records created on your Domain Control panel ineffective. So you will have to recreate all these records on your host. you will have to recreate the CNAME and 4 A Records(you are already using blogger. so i hope that you know of it) on the new Host from the "Simple DNS Zone Edior" in your Hosting cPanel.If you are using Google APPs on your domain, then you will need to re create the CNAME records for that as well. and btw this is how my blog works. www.bloggerplugins.org is a blogger blog. forums.bloggerplugins.org is a bbPress installation on my host. Thanks... I get it now. @download - there are thousands of domain registrars on the web each with a different panel. I haven't used that registrar and so isn't familiar with it. you will need to create the 2 CNAME Records. Contact their support/forums help with creating the CNAME records. How much time does it take to get the confirmation email...???? As i also buy a new domain by using blogger custom domain and in my Google checkout account their is no purchase history available. I have purchased it 3 days ago and till date... i don't receive any type of confirmation regarding my domain. Please help me and reply as soon as possible. And one thing more... can I use blogger sub domain in wordpress..??? For eg. Lets say my main domain www.techboyarena.com is hosted on blogger and if i create a new subdomain like blog.techboyarena.com now can I use my this sub domain in wordpress or any other hosting site or not....?????? By far the most easy to follow instructions on how to set up blogger subdomains that I have found. Thank you very much for your efforts!! 1.already have created a blog and using with custom domain and its anuradha.eu as instructed i have added www cname and its working fine . @Ripslasher - Don't create any Sub-domains on your Godaddy Account. Just create the 2 CNAME records as mentioned here in the tutorial. (DNS changes can take time to propagate). I really like your posts and i want to thank you for all i've learned. Maybe i'm stupid, but i have a question and i would really apreciate if you could answear me. The question is : if i used "myblog.blogspot.com" for 2 months, i've shared the link everywhere i could. IF i buy a domain "myblog.com", what happens when someone enters on the link "myblog.blogspot.com", will this link become a dead link or not ? I'm not sure if you understood what i've said. Is a little hard for me to explain this more accurately. site:bloggerplugin in google and see only 2 pages are indexed only ! becare ful and find a new soloution for it ! @Mayo - having a blog or some website doesn't have anything to do with indexing. site:bloggerplugins.org has got more than 600 indexed pages. There was a confusion for me at first. Whether is it CNAME or sub-domain that need to be configured. To my bad, what I did was to make a subdomain and forward it. But that's not what I intended. Its CNAME that's need to be added. Thanks for writing this. will this work for sub.domain.com/blog ? Is it possible to use different template on subdomain? like I have already run a blog like mydomain.com and I want a sub-domain like gallery.mydomain.com (with a different blogger template)? @Anonymous - yup they are two separate blogs, and hence can have different templates. "The DNS record for your domain is not set up correctly yet. If you just purchased this domain the set up process may take up to a day"
@Piscean - this post is related to creating a sub-domain. that being said, it seems like you haven't created the records properly. @Piscean - you can do CNAME lookups at http://www.google.com/support/a/bin/answer.py?hl=en&answer=116393 . Just enter your new blog url (www.thedailyhowtos.com) in the CNAME lookup box. now after reset at enom DNS setting look like this, now what should i edit and where? @Piscean - as i said before, you are on the wrong post. This post deals with creating a subdomain(but both are similar). But I have a few doubts and questions. You see I own the website http://www.freelancewriter.co/ created on and through GoDaddy. I also created a blogger blog http://writing-freelance.blogspot.com/. I wanted this blog to supplement my main site. Then I thought of creating a subdomain on my main site domain, and redirected/forwarded that to the blogger blog. 1) When I go to the blog through my subdomain http://blog.freelancewriter.co/ and view the pages, I do not see the page names on the address bar (I think I used masking), I just see the above mentioned link, no matter what page I view. 2) If I do not use masking, then I see the blogger URL, with the pages, but I want my subdomain URL to show on the address bar with the pages. Aneesh, I want to know is it the right thing to do. I hope it does not hurt the SEO and the main site ranking. Somewhere I read that having subdirectory is better than having a subdomain for a blog, as then the main site benefits from the blog links. Otherwise a subdomain is treated as a completely new website. I hope Google does not take it as two website sharing the same content, which would mean 'content duplication', and that would be very harmful. Now, in my case, the blogger blog has (and is accessible) by its own URL as well as through my main site subdomain. Do I benefit in this way in terms of SEO and linking, or I am at a loss? Do I need to setup my subdomain on the blogger blog, or let it remain as it is? If one can forward, then why setup? My subdomain doesn't have the 'www'. I hope you understood my problem, as I'm confused myself. you need to create 2 CNAME records on Godaddy,stop the masking, and then switch your blogspot blog to that address using the Settings > Publishing tab. 3)you can't have a blogger blog on a sub-directory. The only way is to use a sub-domain or use the main domain.Once you are done with the steps mentioned here, your old blogspot blog will be 301 redirected to the corresponding page on the new subdoman.Your old blogspot urls will get deindexed from google, and the new sub-domained urls will get indexed. So there is no point of duplicate content unless, you make the same post somewhere else. Thanks for your reply Aneesh. I think I am not going to setup my sub-domain for my blogspot blog now, as it is climbing high on Alexa (reached from 21 million to 2 million in about a month), and I'll be losing the ranking if the pages get de-indexed. Right? Do you think is there any probability of reaching the 100,000 mark in alexa at this rate? Am using blogger and any help will be much appreciated !! (I checked with Google Analytics) but almost all browser visitors came to my site.I don't know what is the problem. Is the problem with my Server or Browser? how to set up subdomain.example.co.cc!!!!!!!! I asked my Host about Subdomains. They told they don't support. Idiots. I did as you said. I have a domain on godaddy. I created 2 CNAMEs as you said. Did all you've said but still I cant see my blog site attached with it. When I go to my site, it still shows a Godaddy page. What is wrong with it? My dns settings are with Verio, and for some reason I must use ghs.l.google.com, or Verio will throw an error. I had to set both CNAME records accordingly, and wait a couple of days. When changing the site from "myblog".blogger.com to the subdomain on my domain, I again had to wait. The change was not instantaneous. Everything I read seemed to suggest it should all work just after publishing to my subdomain, but for me, at least, it did not. Hope my experiences help someone else, and thanks! This is for one subdomain, how about creating a few more subdomains? Can it be done from one domain with blogspot? Anyone here successfully configure multi sub domains for multi blogs hosted by Blogger whilst your root domain hosted elsewhere? @Open door - yup you can have as many as you want, with your root domain hosted else where. Thanks for sharing your knowledge. Very useful. thank you very much for providing such a vital information regarding blogger domain name, it really helped me a lot. hello. i would love to ask, i always receive an error after set the blog. why? ok, first i already done what hv u told before, adding 2 cname and point to ghs. i wondering why? well, i have a static webpage at fakhrulzakry.com and you will have the options to view my blog at blog.fakhrulzakry.com..
please help.. im tottally lost and blank, even my hosting provider cant help. blog.fakhrulzakry.com has an "A" record pointing to "112.137.167.244"
delete that and create a "CNAME" record for "blog.fakhrulzakry.com" pointing to "ghs.google.com"
Just for a clear desc..
WHat I want to do..
2. I want to host a new blog say - kiranjava.blogspot.com at "Sub-domain" --> jee.hegdekiran.com..
but it asks for some IP address which I am not sure what to enter? Hey Aneesh, Please update the tutorial, Godaddy has changed a lot!!! I want a subdomain urgently!!!! Hello. I have a custom domain hosted at blogger, but i want to create a subdomain with a forum hosted on another hosting company, so how can i do that ?? If I'm reading this correct...you can't setup a blogger to direct just to the subdomain and have the main domain behave separate with no Google records. The main domain needs the 4 A Records and the sub needs the additional CNAME? I was trying to send my blogspot to JUST the sub and use my main .com as normal. Kindly clarify this for me. I own www.superstar-rajni.com and I use blogger. I wish to add a page and want the URL to be a sub-domain name (like movies.superstar-rajni.com) in the same blog. awesome. I still wonder that if it is possible.. kewl..
Aneesh you've done it again! Everytime I search for something blogger related your the person that has the best answers and they work everytime! Hi Aneesh, I have my custom domain with blogger. I followed your instructions and setup the 2 CNAME records on enom (say, blog.mydomain.com and www.blog.mydomain.com). The problem is that when I add the subdomain(blog.mydomain.com) as the new address on a 2nd blog on blogger, it also tries to redirect my domain naked url(mydomain.com) to it. I've tried unchecking the redirect option on the second blog but then redirecting turns off on both blogs disabling the naked URL(mydomain.com) completely. Could you give some advice to fix this? @Davo - this thing is totally strange.. what are your Blog URLS? And what does the redirect option in the second blog's dashboard read like? This article solved my problem. Thank you very much for this post. Thank ou very much for helping us. I want to know, that can we host our subdomain on another hosting site??? i was "noobing" for this for ages, cant thank you enough. Great cut & dry tutorial. great tutorial,, but what is if I want the sub domain and domain in single blog? So if we have to create 5 sub-domains then we should first create 5 different blogs in Blogger and point each to the separate sub-domains. right? Please suggest urgently as i need to create sub-domains. Thanks in advance buddy. Once you create the subdomain to use on a Blogger website, will this domain appear like most subdomains that top websites like Yahoo and MSN use? 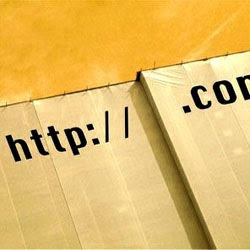 For example, "Wonderwall.msn.com" or "OMG.yahoo.com" are two popular subdomains that operate under the main websites. Getting Error Message: A,NS,MX,AAAA record Exists having same name. Please Check For Record Conflicts. Hi, Thanks for message. I want to redirect my www.blog.domain.com to blog.domain.com. I have tried as per your above discussion like blog.domain.com to ghs.google.com and www.blog.domain.com to ghs.google.com. But its not working. can i use this tutorial for domain that already hosted on blogger, so i can add subdomain like shop. that also hosted on blogger? Literally googled this for DAYS, literally every site said the incorrect things... I was pulling my hair out! THEN I found this page and it solved everything so easily! THANK YOU SO MUCH.